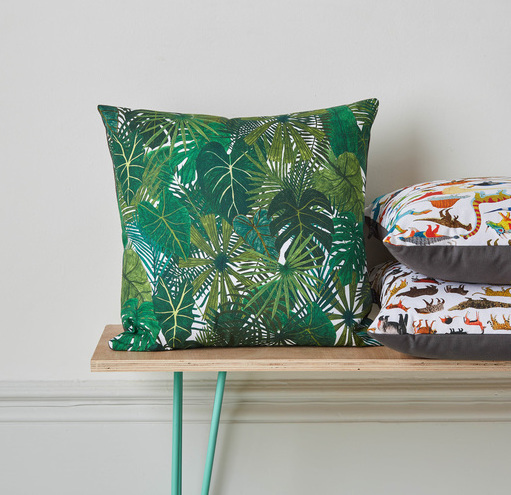 These vibrant cushions were originally created for the Natural History Museum, London exhibition, Colour & Vision. Featuring the illustrated pattern at the front, a dark grey reverse and a concealed zip. Printed on high-quality 100% cotton panama fabric and sewn to perfection in Lancashire, UK. Original illustrations by James Barker. Comes with a feather cushion pad. Botanicals - a plant pattern inspired by urban gardens. Corals - an array of unusual, and alien-like corals deep in the ocean. Feathers - with a flurry of unique and exotic feathers.